Important news, please click here. This page was last updated on 3/10/2000 and is best viewed with Internet Explorer 5.0 at 800 x 600 or higher resolution. 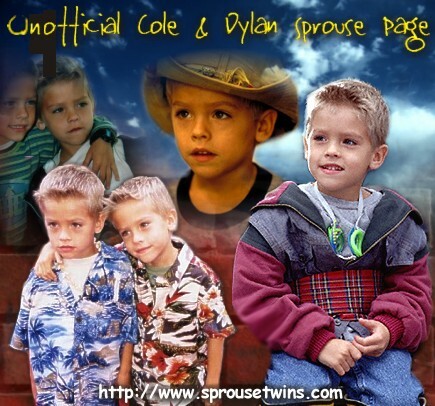 This page has been visited by Cole & Dylan Sprouse fans since July 11, 1999. Please respect the work that has gone into creating this site by NOT taking content without my permission! Important disclaimer: Despite search engine listings of this site, it is NOT official. The Sprouse family does not have any support for or any connection to this site. To view their official site, please click here.